Apple is experimenting with wristwatch-like devices made of curved glass in its research and development labs, the New York Times said Sunday in a report that raises more questions than it answers. In its headquarters in Cupertino, Calif., Apple is experimenting with wristwatch-like devices made of curved glass, according to people familiar with the companys explorations, who spoke on the condition that they not be named because they are not allowed to publicly discuss unreleased products. Two people familiar with the project reportedly told the Times's Nick Bilton that the the watch would operate Apples iOS platform and stand apart from competitors based on the companys understanding of how such glass can curve around the human body. However, the report goes on to question whether the device would employ Siri, tie into Maps, serve as a wireless payment device, and so forth. At the same time, it also offers a recap on some of Apple's moves over the years have placed it in a prime position to lead a charge for wearable computing devices if it chooses to execute any such R&D projects. Rumors of an Apple-produced smartwatch have surfaced time and again over the last few years, but the past three months have seen speculation on the topic increasing. Last December saw reports that Apple was working with Intel in order to produce an iOS-powered smartwatch. 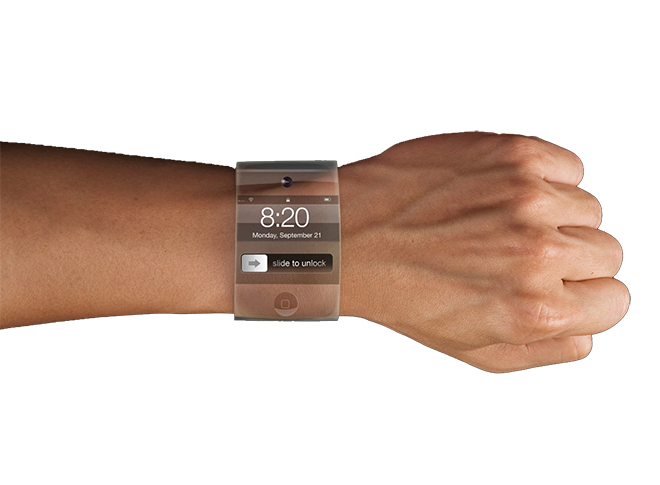 "The iWatch will fill a gaping hole in the Apple ecosystem. It will facilitate and coordinate not only the activities of all the other computers and devices we use, but a wide array of devices to come." More recently, Bruce Tognazzini  creator of Apple's Human Interface Guidelines  predicted on his blog that Apple would release an iWatch. "The iWatch", Tognazzini said, "will fill a gaping hole in the Apple ecosystem... [facilitating and coordinating] not only the activities of all the other computers and devices we use, but a wide array of devices to come." Tognazzini gave a caveat to his prediction, saying that it was not based on insider information but "a solid understanding of Apple, its products, the problem, and the opportunity." The iWatch, he predicted, would leverage Apple's existing patents on curved glass to create a device much like the one described in the Times piece. Tognazzini believes the device could be a payment medium, a means of locating other iOS devices, and the herald of a new, Morse code-like method of discreet communication.